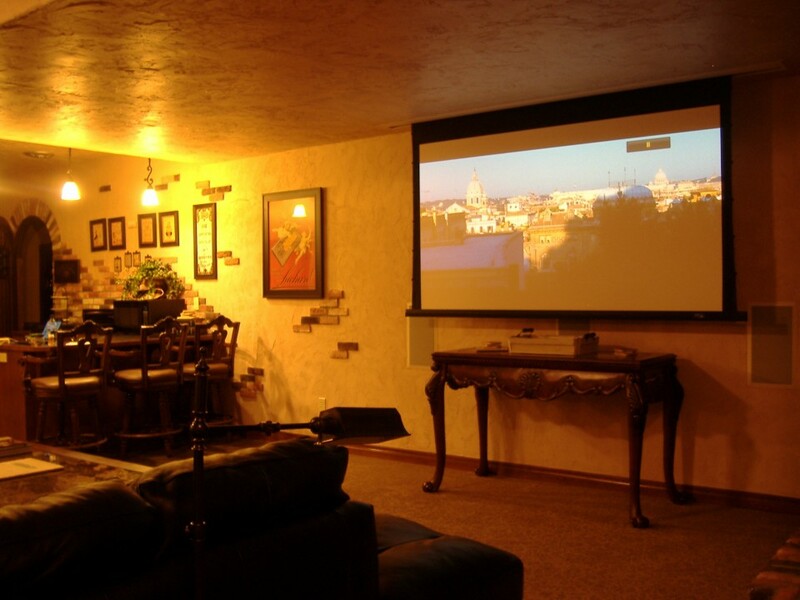 This Luxury Home Theater lets clients choose to watch HDTV or big screen projection whenever they want. Theater Design Northwest was called out to integrate and update this hi end home theater as well as the entire homes’ AV systems. This 7.1 room is kinda cool as it has a dropdown projection screen, and behind it is a new 55″ Samsung LED display. We programmed a new Universal Remote MX-450 so the clients can easily choose to watch HDTV or projector with one-touch complete control. The 7.1 surround system had not been calibrated, the subwoofer was not working and we definately would have done the speaker layout differently had we designed the space. But after some troubleshooting and a caliubration we were rewarded with some great surround sound. Other improvements included replacing aging and clumsily programmed whole house remotes with 1 touch activity based RF remotes for reliable and intuitive control of the three main AV systems. Upgrading, troubleshooting/configuration for 6 HDTVs with video calibrations on the ones with HD sources. Upgrade the home theater with a new projector, AV calibration, BluRay and remote. Repair whole house sound system. Reconfigure excercise room AV system to increase sonic accuracy/intelligibility/eliminate comb filtering artifacts and improve equipment ventilation. 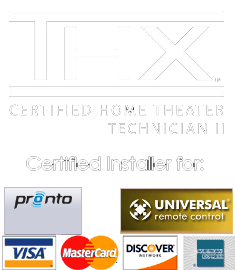 Replace and configure defective family room HDTV, calibration and remote programming. Upgrade bonus room HDTV and remote programming.